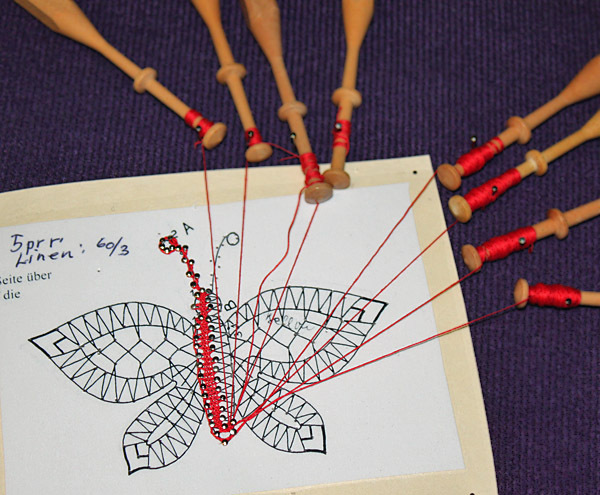 Monday was bobbin lace night. I missed a session while we were on vacation and was anxious to get back to it. 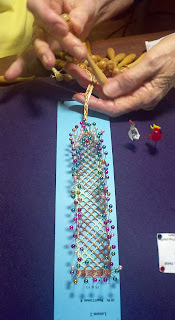 This time I learned to turn a corner - which is a very big deal when you realize all the pins must be removed so the pattern can be turned, and then at least one repeat's worth have to be put back. Nerve wracking to say the least. And I started a butterfly, a new type of bobbin lace for me. See the writing on the top left of the pattern? Mostly in German? That's all the instructions there are for this motif. Basically it says use 5 pairs of bobbins and thin thread (I'm using size 80 tatting thread.) 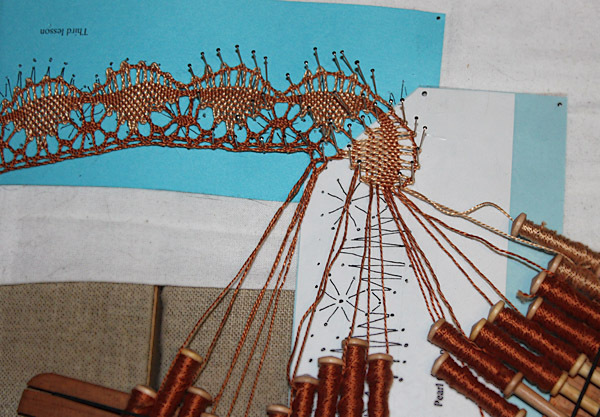 My teacher looks at the picture, both pattern and finished, and decides what stitch(es) I need to do in each section. There is no way I could figure this out for myself. But with Vib's help, I'm having a ton of fun with this.